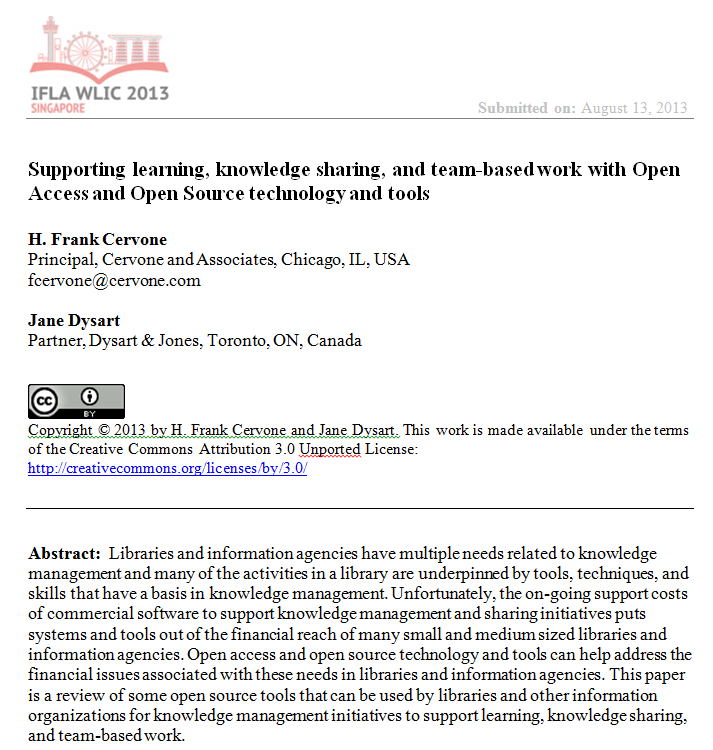 The presentation covers some open access and open sources technology and tools which can be used to support learning, knowledge sharing and team-based work in any organization. It covers knowledge management (KM) systems, business intelligence (BI) systems, document management tools, personal KM tools, some specialized application tools and social media tools. This list is definitely not exhaustive, but some to look at if you need some support for your initiatives.